Today ONLY save 35% on the Olight S1R II Baton in your choice of original aluminum, 4 gorgeous limited edition titanium bodies, or limited edition copper. No coupon needed. Price reflects discount. Shopping for an Olight fan? 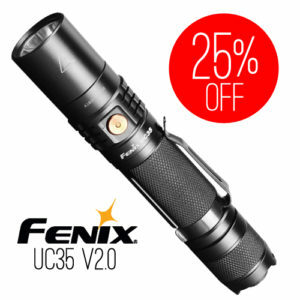 Save up to 25% on ALL Olight now through 11/26/2018. No coupon needed. Prices on site reflect discount. 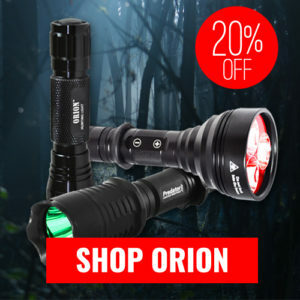 Save 20% on ALL Orion hunting flashlights. Use coupon code HUNT20 at checkout for savings to apply. 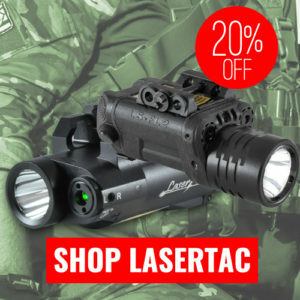 Save 20% on ALL Lasertac laser sights and weapon-mounted flashlights. 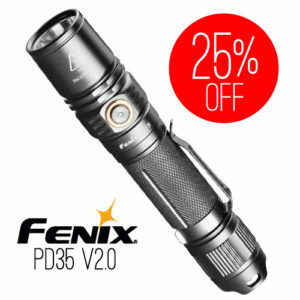 Use coupon code HUNT20 at checkout for savings to apply.